"All I could do was try and protect myself," she said. "He literally sat there and beat me like a man." 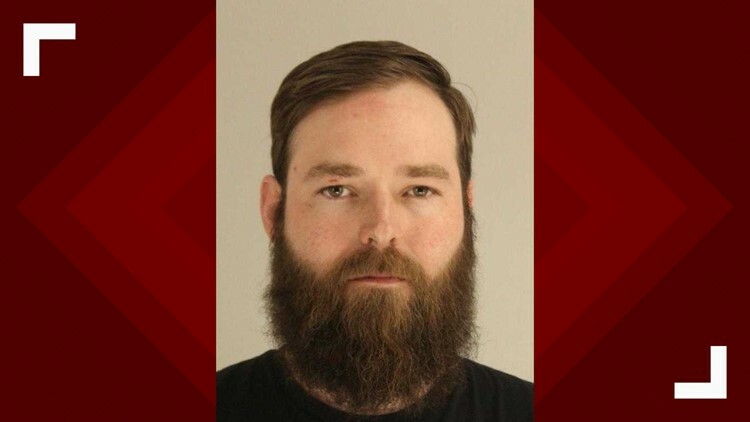 DALLAS — A suspect in a violent assault captured on video in Deep Ellum has been identified as 30-year-old Austin Shuffield, according to an arrest warrant. Shuffield was charged with assault bodily injury, interfering with an emergency call and public intoxication. According to the arrest warrant, police were called at about 4:26 a.m. Wednesday to a disturbance in the 2800 block of Elm Street. Upon their arrival, officers spoke to the woman, who said a man confronted her about blocking a parking lot exit after she drove the wrong way down Elm Street to drop off friends at a hostel, the arrest warrant said. L'Daijohnique Lee, 24, had been out in Deep Ellum with friends and told WFAA that she made a simple mistake. "I knew I was on a one-way street but I was stopping literally at the corner to let my friend out," she said. After she moved her vehicle into the lot, she said a man approached her car in an attempt to get a picture of her license plate, which is when she said she told him "to get back or else she would mace him," the arrest warrant said. In the video, he never points it at Lee, however. "I got scared," she said. "I was like, 'You have a gun?' The first thing I thought to do was call the police." She told police she feared for her life and went to slap Shuffield in an attempt to push him away. At this point, Shuffield can be seen punching Lee as many as five times in the video, pushing her into a metal pole. "He charged at me, and he just kept hitting me, and I was like, 'OK, OK, OK'," Lee said. "Watching that video literally makes me cry," she said. "All I could do was try and protect myself. He literally sat there and beat me like a man." When police arrived, the video was handed over to officers for review and Shuffield was taken into custody at the scene. According to the arrest warrant, a .45 caliber Glock and knife were later found inside Shuffield's vehicle. A man identified on Facebook as Ricky Tan said he recorded the cellphone video. In the comments of the video post, Tan said he didn't attempt to stop the assault because the man was armed. Lee told WFAA that she is glad everything was recorded. "In reality, that recording really helped me because when the police showed up, it would have been my word against his," she said. She sustained minor injuries to the left side of her face but hasn't gone to the hospital to be checked out just yet. She's still trying to make sense of what happened. "It didn't even have to go that far, I just keep thinking why?" she said. "It wasn't that serious of a situation." WFAA was told that Shuffield is a bartender, and that the bar he works for isn't far from where the confrontation took place. As of Thursday, an employee of that bar said that Shuffield was terminated after his arrest. While this isn't a case of domestic violence, we'd like to post a reminder that if you or someone you know may be a victim of domestic violence, you can call the 1−800−799−7233 hotline to connect with experts, or visit thehotline.org.